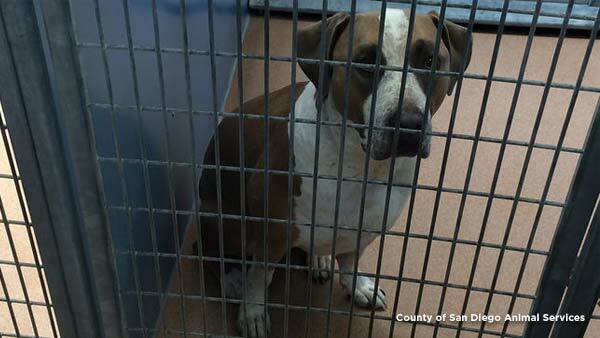 Officials said a 2-year-old dog, a neutered male American Staffordshire terrier-mix named Polo, mauled a 3-day-old boy to death at his family's home in San Diego on April 21, 2016. SAN DIEGO, CA -- A 3-day-old boy was mauled to death by the family dog while they were in bed with the child's parents, police said Friday. The parents were in bed watching TV with their newborn son and dog Thursday night when the mother coughed. The coughing startled the dog and it unexpectedly bit the baby, Sgt. Tu Nguyen said. Police say a man was attacked and killed by a Rottweiler dog hours after adopting the animal from the county pound. He said the parents pulled the animal off and took their only child to the hospital, where he was pronounced dead. "At this time, we're looking at this as nothing more than a tragic incident," said Nguyen, a member of the child abuse unit. An autopsy is underway to determine the cause of death. A family dog protecting his home was killed overnight with a bow and arrow. Animal control officers took the 2-year-old dog, a neutered male American Staffordshire terrier-mix named Polo, into custody, said Dan DeSousa, deputy director of the county Department of Animal Services. The dog will be held in quarantine for 10 days to determine whether it has rabies. It will be up to the owners to decide whether to reclaim the dog, DeSousa said.